Greg Street is a producer and DJ from Atlanta, GA. He has worked with many artists from the south and west coast. This record is basically a compilation with artists from the Dirty South and it happens to be one of his best work. This third coast tribute album was released in 2001 on Slip-N-Slide Records. 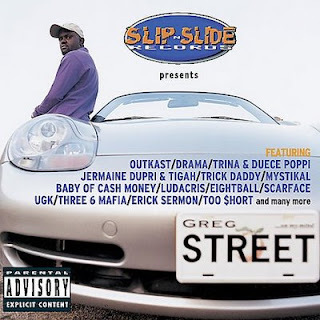 Production was done by Greg Street, Pimp C of UGK, Jazze Pha, Jermaine Dupri, Noke D, Kenya Miller, DJ Herb, Carl Mo, DJ Paul and Juicy J of Three 6 Mafia. The beats are phenomenal. They are strictly down south orientated and easily bang all through out the album. 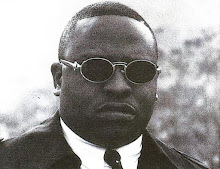 The lyrics are even better and are courtesy of Scarface, UGK, Outkast, Three 6 Mafia, Eightball, Mystikal, Baby of Big Tymers, Too $hort, Goodie Mob, Field Mob, Pastor Troy, Trick Daddy, Ludacris, Trina, Z-Ro, Big Moe, D-Gotti, The Last Mr. Bigg, Jazze Pha, Jermaine Dupri and Ronnie Spencer. This is no ordinary list of performers. The unrelenting production along with the dope lyrics keep the album playing smoothly. Street put together a very solid and worthwhile compilation and it does not fall short in any department.